Regardless of where each of us are on our life paths, we can all learn from one another. In the world of spiritual exploration through speaking with and listening to those who are also striving for more we can grow as human being and help our minds align with our higher selves on a deeper level. I recently took the time to go back through and watch some of Ralph Smart’s videos on YouTube and through that was able to really reignite the flame within myself that was dimming out. This flame keeps me going towards where I need to be, and so I felt the video that resonated with me the most was well worth sharing with all of you. For those who might not be aware, Ralph Smart is ‘Infinite Waters (Diving Deep)’ on YouTube. Smart is a psychologist, author, life coach, and so much more. He has spent a lot of time traveling and working to find himself in more ways than most ever will. He has millions of subscribers/followers across several platforms and through that works to help people become the best possible versions of themselves that they can be. I have been watching his videos for quite a few years now and his words are almost always able to really get me excited to move forward in my journey. The video that resonated the most with me as noted above was one from back in 2016. It is titled ’10 Things I Wish Someone Told Me at 20′ and is roughly fourteen minutes long. In this video, he goes over exactly what the title suggests and numbers 2, 4, and 7. Those being that we should not work jobs we do not like, there will be loads of obstacles and even when we think we’ve made it we still have room to grow, and that we should ignore everyone else and believe in ourselves. According to Ralph if you want to be something you can, this life is whatever we turn it into. He says that he is someone who used to be in the place most all of us are and that through his journey he has truly found himself. While you might not want to accept all of his tips just yet the video in itself will help you grow big time. This ‘cat down the road’ is one well worth listening to. Not everything that has helped him on his journey will work for all of us but it will give us a great idea of where we should be heading. Smart begins all of his videos on a very chilled out and positive note. They are quite relaxing and will really help you on your journey if you take the time to check them out. 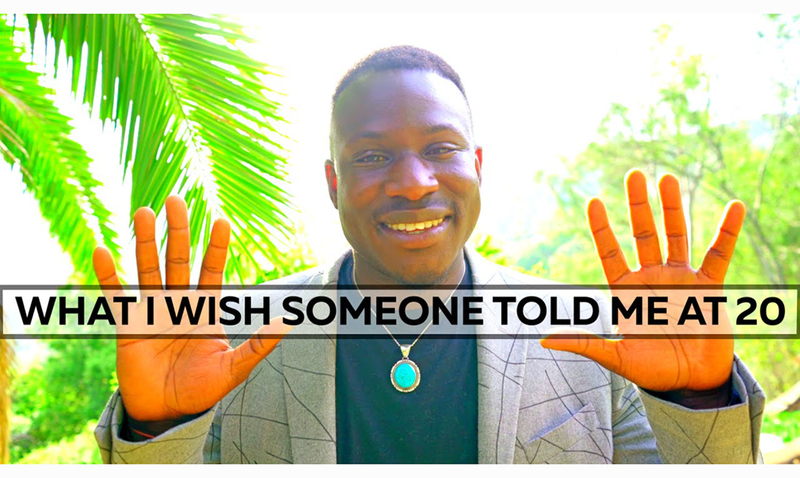 To learn the 10 things he wishes someone had told him at 20 please take a peek at the video below. Which number stands out the most to you?